It seems the Nouvelle Vague will not go away, and we may wonder if there has been any other film movement in history – from Neorealism to Dogme, from New Hollywood to New German Cinema – that has held such a fascination. Numerous books have been written about it, yet has the subject still to be exhausted? It appears not, for now we have two more: one specifically on French cinema of the period; another that covers more generally the film movements making waves in the sixties. Williamson refers to the central character in Le Rayon vert (The Green Ray, Rohmer, 1986) as maddening, but this is a socially-oriented critic still playing fair to the demands of the film. Often this even-handedness seems absent in Sellier’s book. In the second instance, the numerous quotations from the critics of the period aren’t so much exhaustive as exhausting, especially when we sense they’re taken out of context and then summed up by Sellier’s authoritative hindsight. 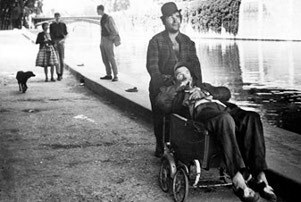 Jean-Louis Bory says in his Arts review, of Vivre sa vie: film en douze tableaux (Godard, 1962), that this is “Montaigne’s art of living tinged with Sartre: at every moment, Nana claims responsibility for herself, and thus for her freedom…This reportage is a film of love. 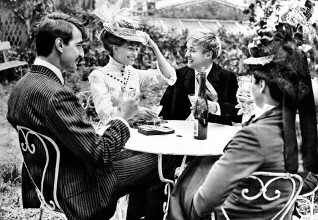 Modest and sensitive, Vivre sa vie is Godard’s film about [Anna] Karina.” (p. 65) For Sellier, such writing by critics shows an “empathetic attitude [that] leads them to imitate in their writing the style of the film and thus completely abandon the very idea of a critical attitude, which is to say one that establishes a distance vis-à-vis its object.” (p. 65) As with other loosely theoretical claims, this isn’t backed up by anything; though, up to a point, it seems to resemble a Kantian notion of disinterest certain film theorists have proclaimed: like Hugo Munsterberg who, as J. Dudley Andrew says, believed “that during the aesthetic experience that object becomes for us the whole context, an end in itself.” (4) This seems hardly the case in Masculine Singular, though, where the end is so obviously not aesthetic but representational. Also, why should a critic a priori establish a distance vis-à-vis its object; doesn’t the best criticism often come instead from an intimate encounter with the art work? This is partly why, when editing Cahiers du cinema, Rohmer would give the commission to someone who felt very positively towards the film, and this is consistent with Manny Farber and Patricia Patterson’s claim in Negative Space that “it’s the idea of writing about the film in a way commensurate with the way the filmmaker’s mind is.” (5) Maybe what Sellier says is useful for the sort of representational criticism she seems interested in, but often the reason such writing arrives at petrified taxonomies is that it doesn’t love the art object enough to break it down into its numerous singularities. Nowell-Smith’s book has some of the same problems of being too far removed from the work, but for very different reasons. If Sellier’s is a representational account of the Nouvelle Vague and beyond, Nowell-Smith’s is a summarising work, trying to draw together a broad sweep of movements attached to nationality in suggesting where sixties cinema was heading. To do so, he admits that he’s generalising: “this basic and on the whole uncontroversial rootedness of cinemas in their particular place of origin has led to the films from these places being regularly grouped under the more restrictive heading of ‘national cinemas’.” (p. 112) He adds that, consequently, “precedence is given, wittingly or not, to underlying politico-economic and juridical factors (to do with borders, currencies, tariff barriers, citizenship, etc. )” (p. 112), and confesses that the term national cinema is highly questionable. Though Sellier’s book is a more challenging work than Nowell-Smith’s in many ways, the very socio-political aspects Nowell-Smith admits can hamper the singularity of a director or work are the very elements Sellier constantly pushes. For example, there is quite a telling moment in Masculine Singular where Sellier admires Alain Resnais for what she perceives as his lack of auteurist concern: “Creativity is not associated with the expression of his own subjectivity” (p. 212). This obviously depends on how we define subjectivity – again, a rather under-examined notion as Sellier offers as proof that Resnais always works from “written texts that are commissioned by the filmmaker and created by a professional writer, man or woman, working in full autonomy” (p. 212). Sellier appears very much to see art in the service of society, and that the less personal the images, the better; the more reflective they are not of the author’s inner world, but the outer day-to-day reality. Yet for Nowell-Smith, this is part of the apologetic tone of his book, and that he presumably tries to compensate for by offering several chapters on individual auteurs, namely Godard, Pier Paolo Pasolini and Michelangelo Antonioni, in the last section. In the introduction to Sellier’s tome, she lists a handful of other titles about the Nouvelle Vague that have in common a focus on “works and their authors and their disregard for the analysis of filmic representations as an element of the collective imaginary echoing the society of the times” (p. 4). An attempt to challenge this disregard is extremely important and useful, but one of the pressing questions is how should it be done. Stephen Prince took film theory and especially psychoanalysis to task for generating theories of spectatorship with little interest in the empirical aspect of their work, by saying they “have constructed spectators who exist in theory; they have taken almost no look at real viewers” (6). Prince’s answer to this is much more cognitivist than representational: here, normative modes come into play as viewers “are positioning film events and characters according to socially derived, extra filmic knowledge of appropriate and inappropriate real-world behavior.” (7) But we may notice again we’re into generalities rather than singularities, and whether it is the broad social sweep of a Nowell-Smith, a feminist approach present in Sellier, or the cognitivist method mentioned by Prince, then the specific still gets lost to the general. one senses a narrowing of perception for an expansion of ideological impetus. Were critics more favourable to Moreau and Karina over Bardot because they saw more freshness in their work than in Bardot’s, that the flux of life was more present in Moreau’s and Karina’s films generally than in the constructions of a leading lady who was still in many ways a conventional star? “With this rather tortured declaration Truffaut reveals the claim to distinction being made by the films of the young men of the New Wave”, Sellier notes, and that what Truffaut believes he and the others were doing has nothing to do with a “feminine literature that apparently looks like it” (p. 21). But is this really what Truffaut is saying, or is it what Sellier wants to believe he is saying? When she calls it “a rather tortured declaration”, is she not saying that he doesn’t seem to know how to express himself, but luckily Sellier is on hand to sort the confusion out? It is often this high-minded tone that makes the book a chore, and ironically leaves the reader feeling not in the hands of someone trying to extend the cinematic franchise in perceptual possibilities to incorporate people of both genders and all classes, but at the mercy of an ideological task-master having no truck with dissent. Next to it, Nowell-Smith’s book has the air of pipe and slippers, a gentle book that could sometimes do with more of Sellier’s ire as ideas are thrown up but hardly adhered to. When Nowell-Smith mentions that the Nouvelle Vague captured so well “Frenchness”, he talks of Jean Douchet’s book on the Nouvelle Vague (8), where Douchet says that the Nouvelle Vague distinguished itself by being as unlike images of Frenchness as possible, and played up the Americanisation of the world. Nowell-Smith concludes that “Douchet was a close friend of most of the Nouvelle Vague filmmakers and he may well be right” (p. 117). When at the beginning of the book Nowell-Smith alludes loosely to narrative theories by Gilles Deleuze and David Bordwell, we might expect them to turn up later in the chapter on Narrative, but no such appearance is forthcoming. This is not to condemn either book especially, but reading them makes one think that what English-language publishing needs is not yet more books covering representations and summarising overviews (Nowell-Smith is also editor of The Oxford History of World Cinema), but perhaps academics, hard-copy critics and online writers who can rummage around more in their own cinematic consciousness and try to explore and explain what they think and feel when images pass before our eyes and affirm our place in the world or, perhaps more pertinently, negate it. This could be as much a form of autobiography as objective analysis, and none the worse for that. One might think here of James Baldwin’s The Devil Finds Work, the opening chapter of Gilberto Perez’s The Material Ghost, and some of Judith Williamson’s pieces, especially those in Deadline at Dawn (9). Pialat says at one stage in the interview quoted at the beginning of this review, “You don’t know what anger is. I might write a book about it…[the Nouvelle Vague]” (10). We might wonder how many books might benefit from coming out of not the representational generalisations of Sellier, the summarising approach of Nowell-Smith, or, for that matter, the cognitivism people like Prince propose, but out of a criticism that can – in a way that is nevertheless nuanced and knowledgeable – take films very personally indeed. Pialat once beautifully proposed “all we film are wounds” (11). Should there not be a place for the critic to write likewise? 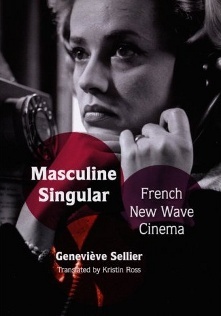 Masculine Singular: French New Wave Cinema, by Geneviève Sellier, trans. Kristin Ross, Duke University Press, Durham, 2008. 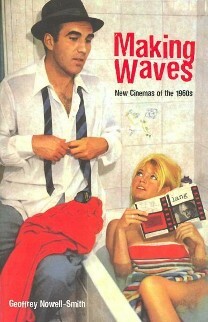 Making Waves: New Cinemas of the 1960s, by Geoffrey Nowell-Smith, Continuum, London, 2008. Christian Fevret and Serge Kaganski, “I can’t go on. I’ll go on.”, Film Comment, May/June, 2004, pp. 33-53, p. 42. John Pym, quoted in Judith Williamson, Deadline at Dawn: Film Criticism 1980-1990, Mario Boyars, London, 1993, p. 179. Williamson, Deadline at Dawn, p. 180. J. Dudley Andrew, The Major Film Theories: An Introduction, Oxford University Press, London, 1976, p. 22. Manny Farber and Patricia Patterson, interviewed by Richard Thompson in Farber, Negative Space: Manny Farber on the Movies, Da Capo Press, New York, 1998, p. 368. Stephen Prince, “Psychoanalytic Theory and the Problem of the Missing Spectator”, in David Bordwell and Noël Carroll (eds), Post-Theory: Reconstructing Film Studies, The University of Wisconsin Press, Wisconsin, 1996, pp. 71-86, p. 83. Jean Douchet, The French New Wave, D.A.P./Distributed Arts Publishers, New York, 1999. James Baldwin, The Devil Finds Work: Essays , Delta/Dell Publishing, New York, 2000; Gilberto Perez, The Material Ghost: Films and their Medium, The Johns Hopkins University Press, Baltimore, 2000; Williamson, Deadline at Dawn. Fevret and Kaganski, p. 42. Elisabeth Lequeret, “Early Shorts”, Film Comment, May/June, 2004, p. 35. Tony McKibbin teaches Short Courses at The University of Edinburgh and writes for various magazine and journals. His website can be found at tonymckibbin.com, and some of the material from the website is in book form: On and About Film and Other Essays; Craig Dunain and Other Stories.